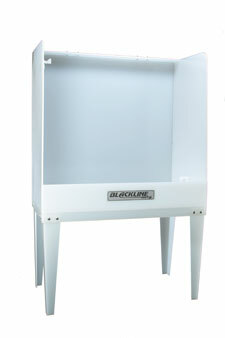 If you’re looking for a strong, durable screen printing washout booth at an affordable price, look no further than Blackline’s WB washout booth. 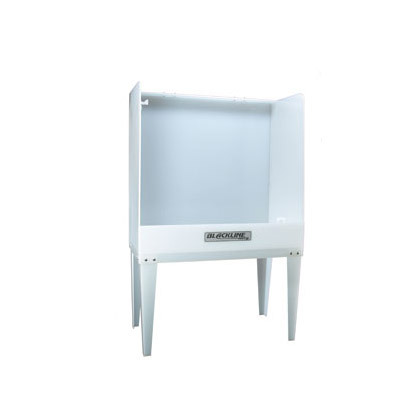 The WB is an open-top booth constructed of welded polypropylene and comes equipped with many of the features found on our deluxe screen printing washout booths, including two, four-foot backlight strips, a semi-transparent back, built-in screen supports and a perforated drain. Durability. WB Standard Features Hooks for hanging scrubbers Two, 4-foot backlight strips AirLectric foot switch Built-in screen supports Pressure washer wand support.